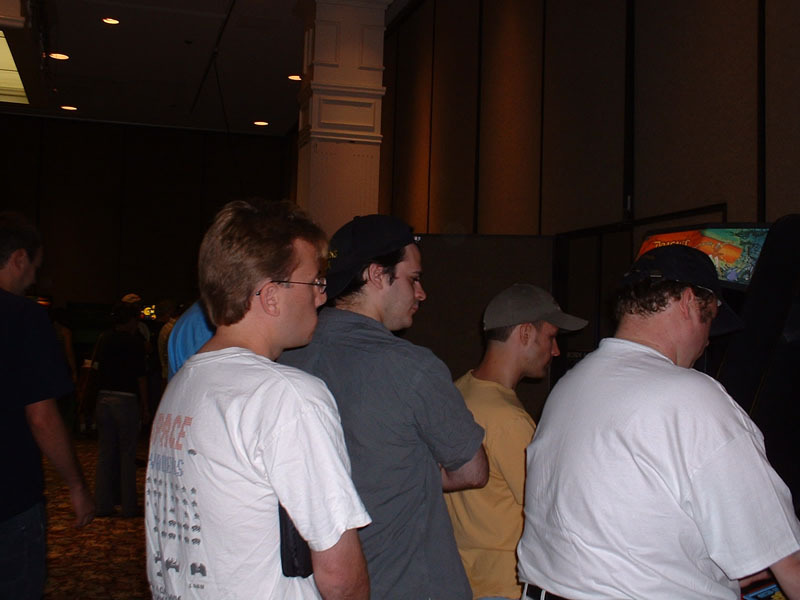 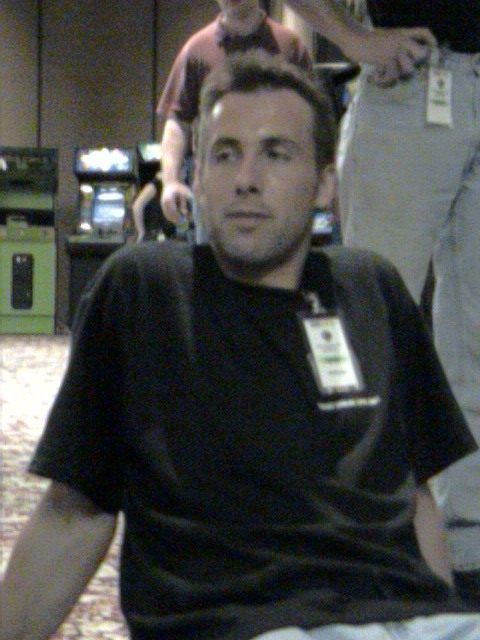 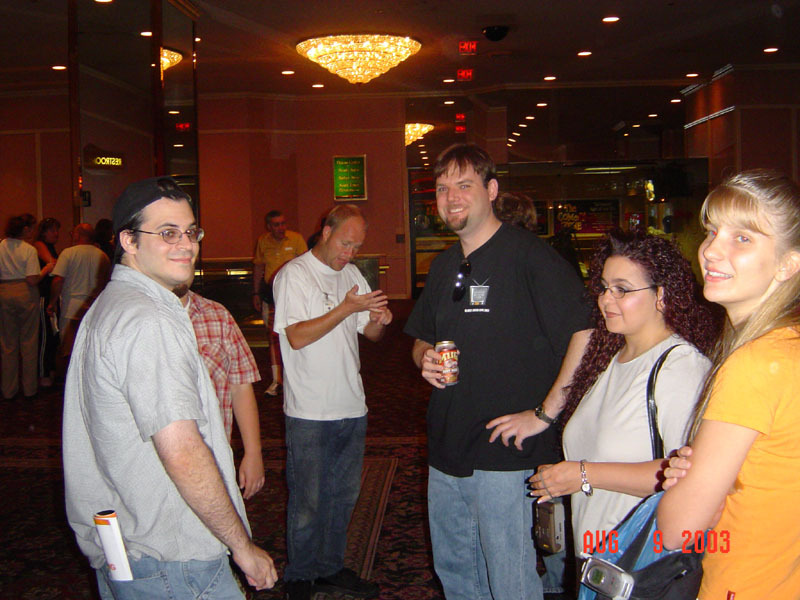 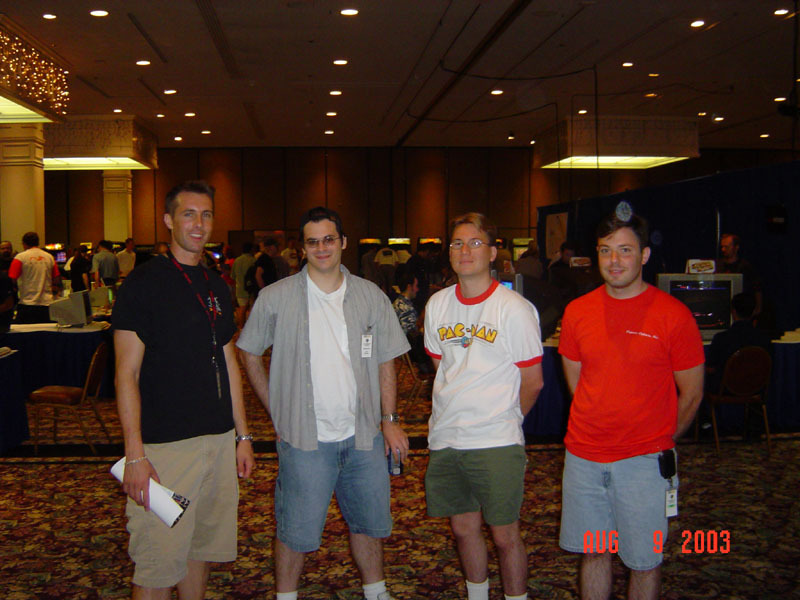 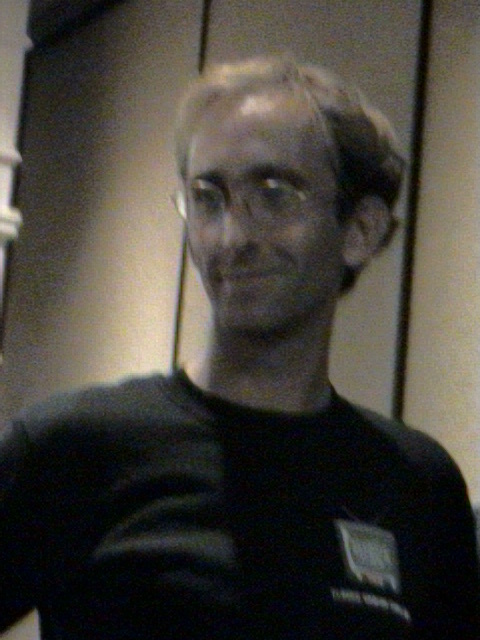 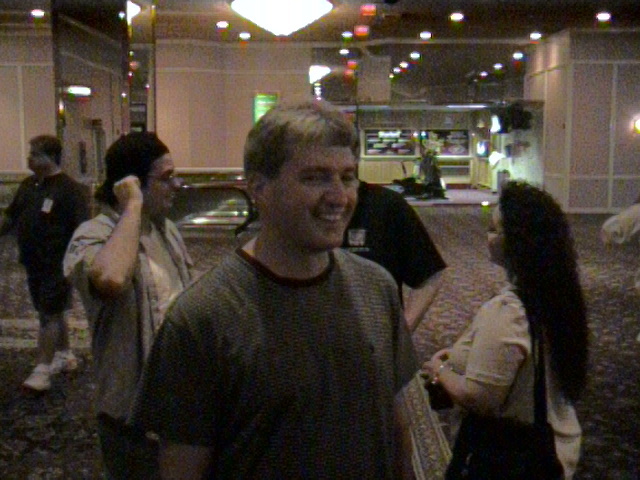 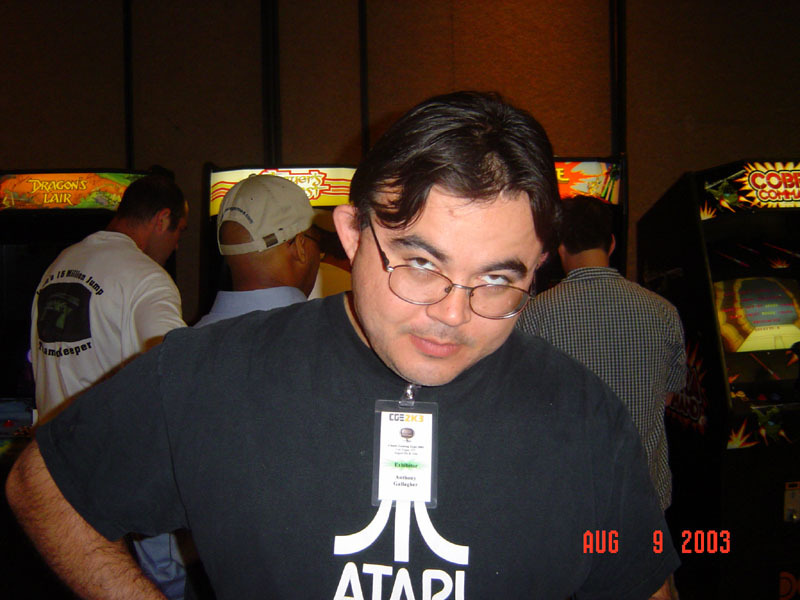 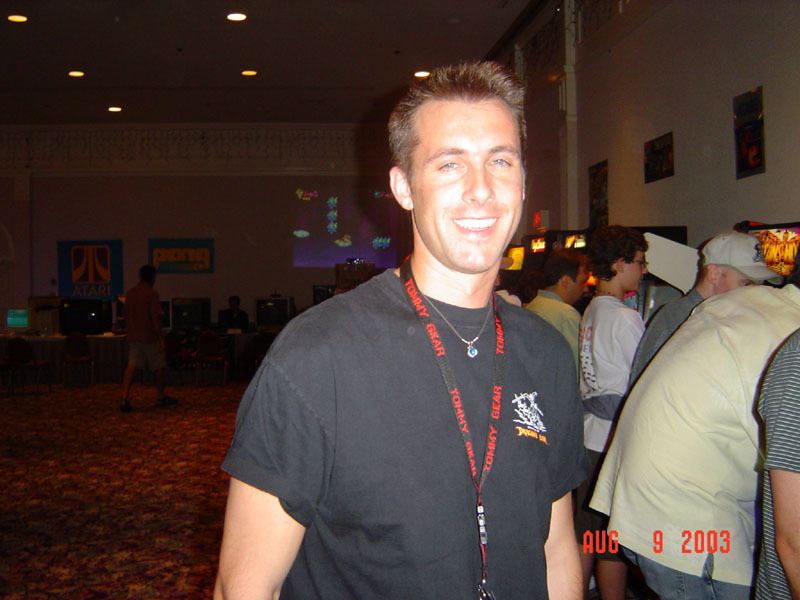 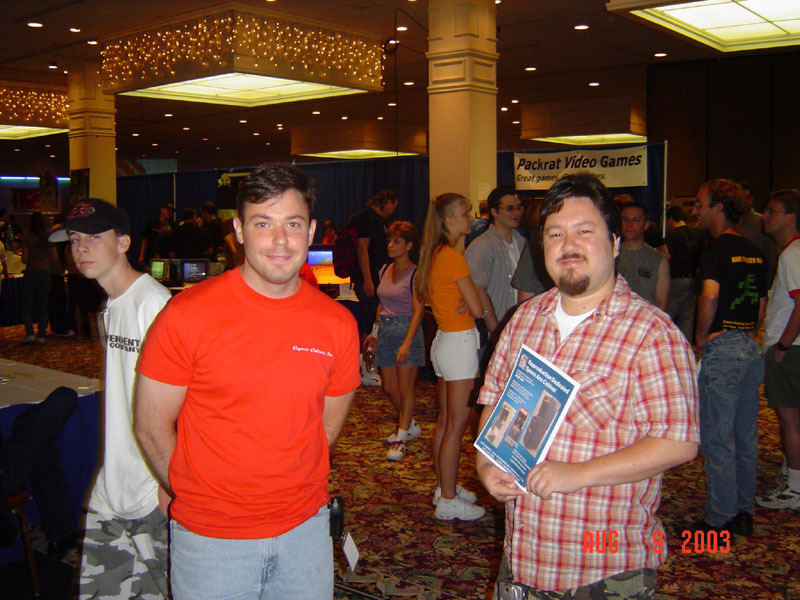 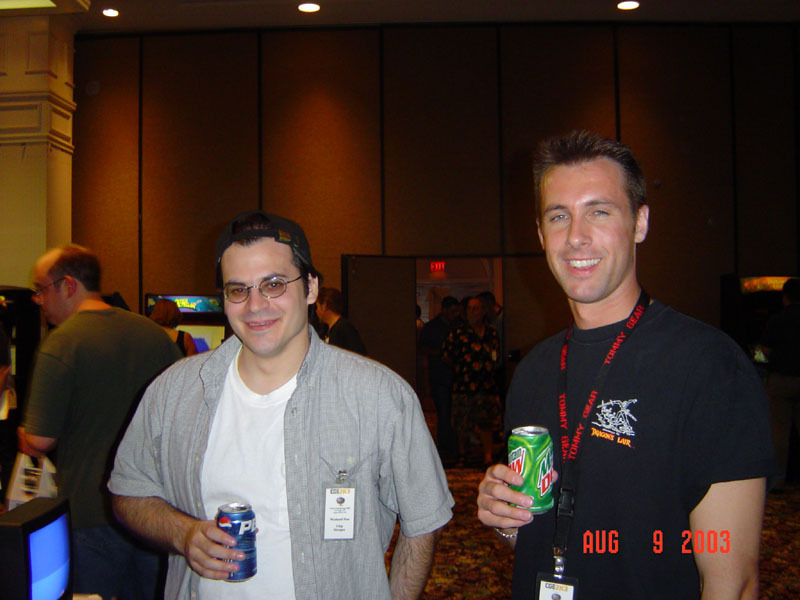 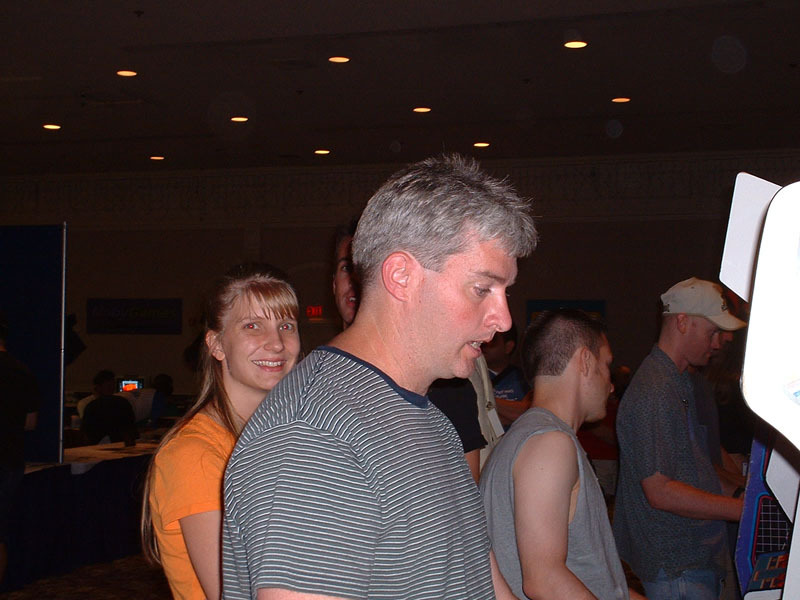 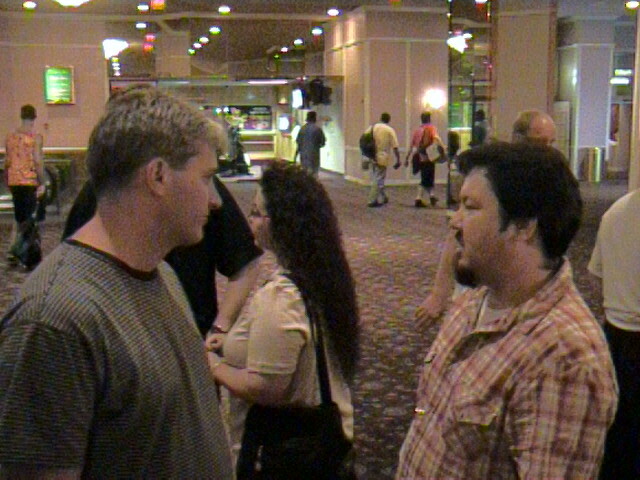 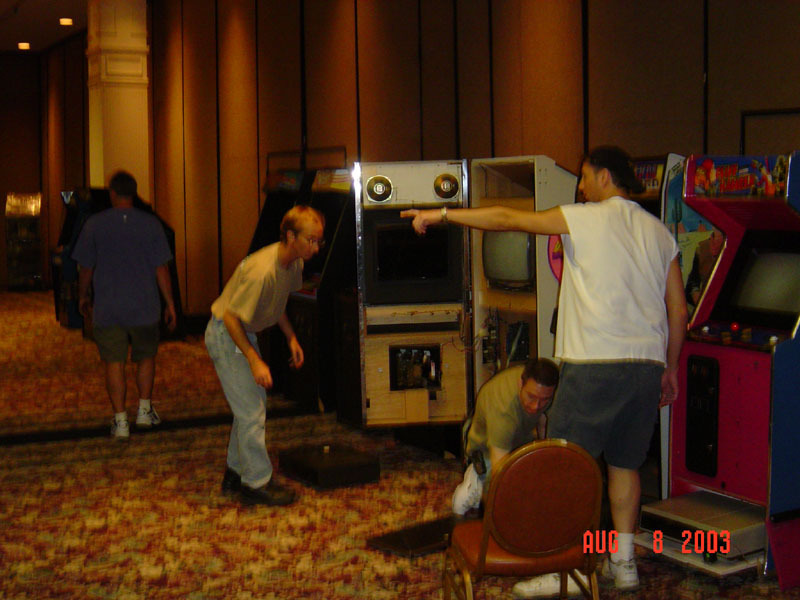 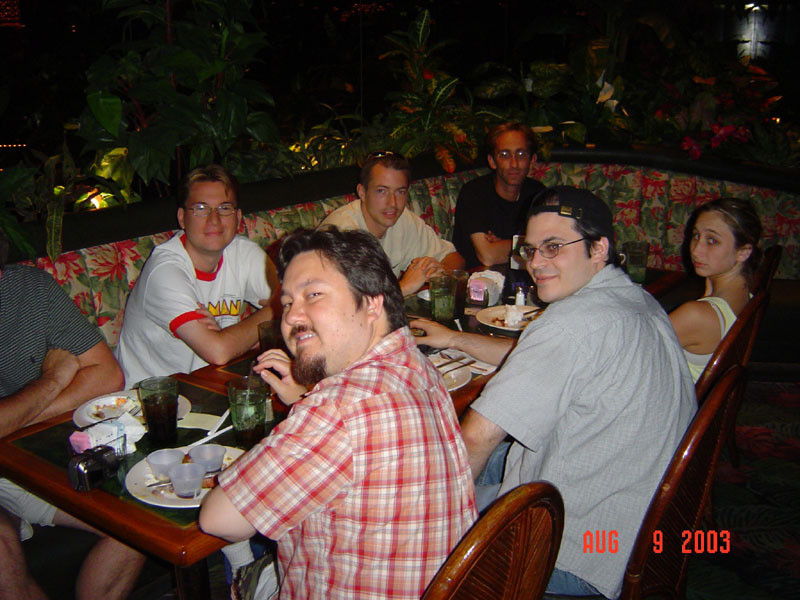 The Classic Gaming Expo 2003 was once again held at the Plaza Hotel & Casino in Las Vegas, Nevada on August 9th and 10th 2003. 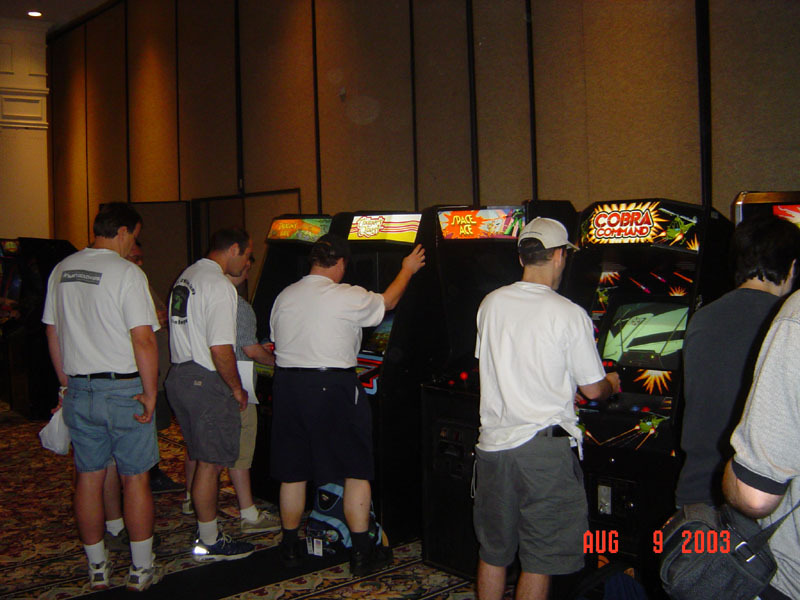 Classic video game enthusiasts and many of the most famous pioneers of the video game industry gathered in Las Vegas for the sixth annual event. 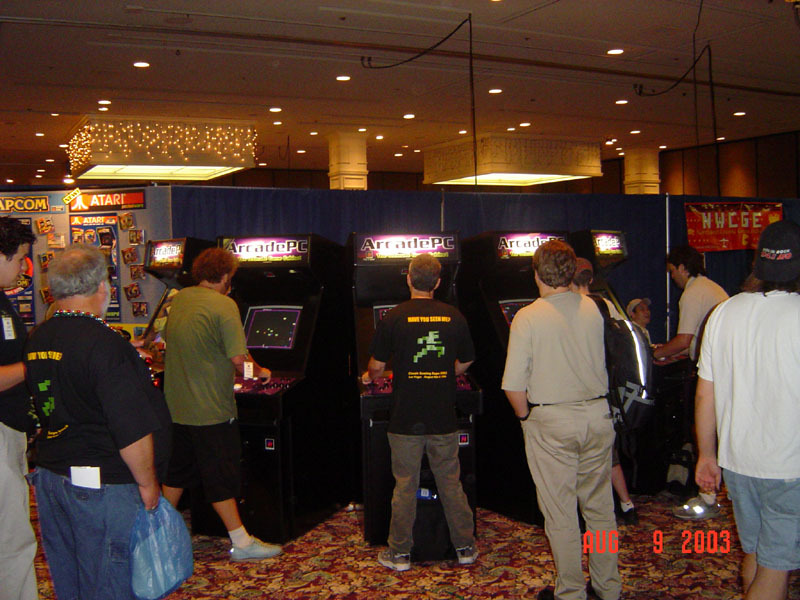 At what has become the largest show dedicated to the preservation of video game history, attendees got the chance to experience the heritage of video games through exhibits, presentations by the people who built the industry, and hands-on play of classic games.  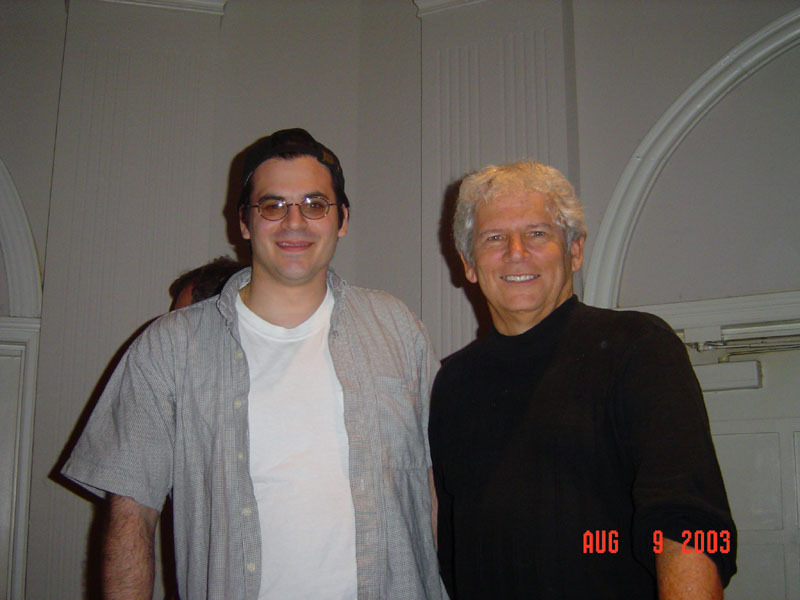 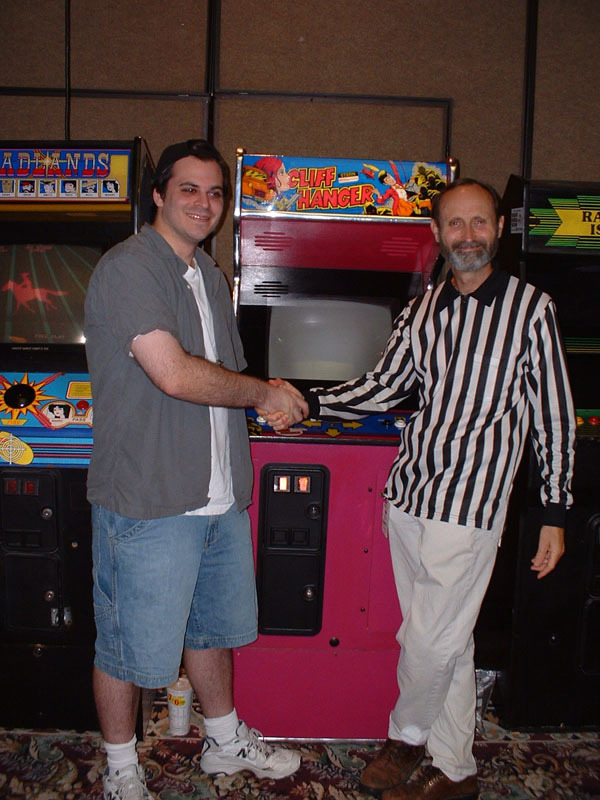 Some of this years celebrities were David Crane, Steve Cartwright, Warren Davis, Ed Rotberg, Tim Skelly, and the father of the video game industry, Nolan Bushnell. 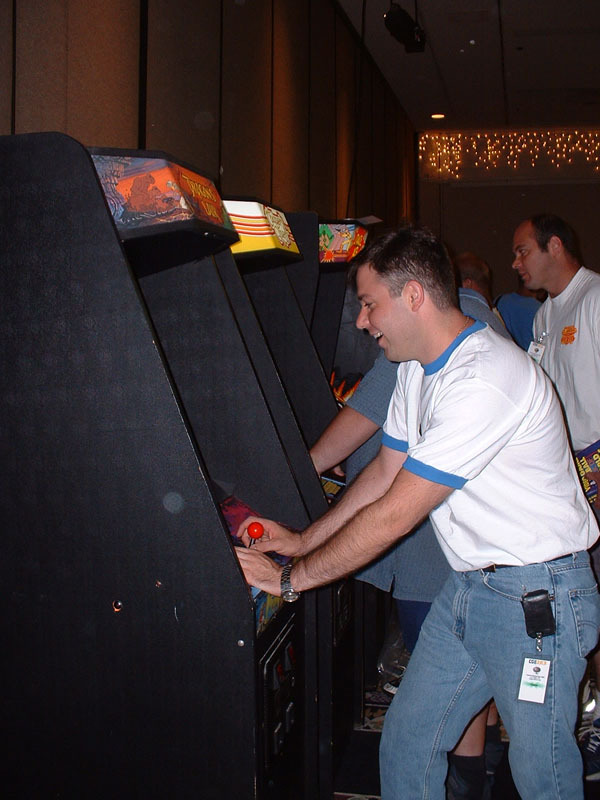 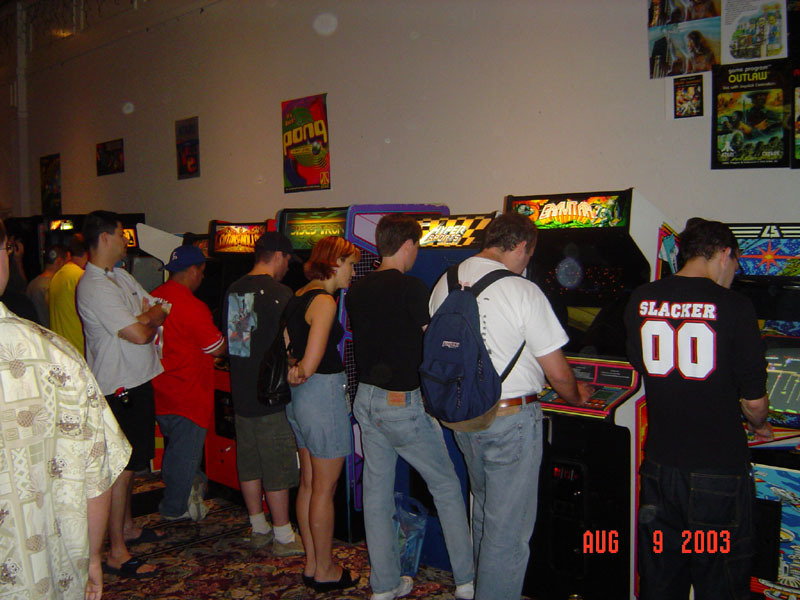 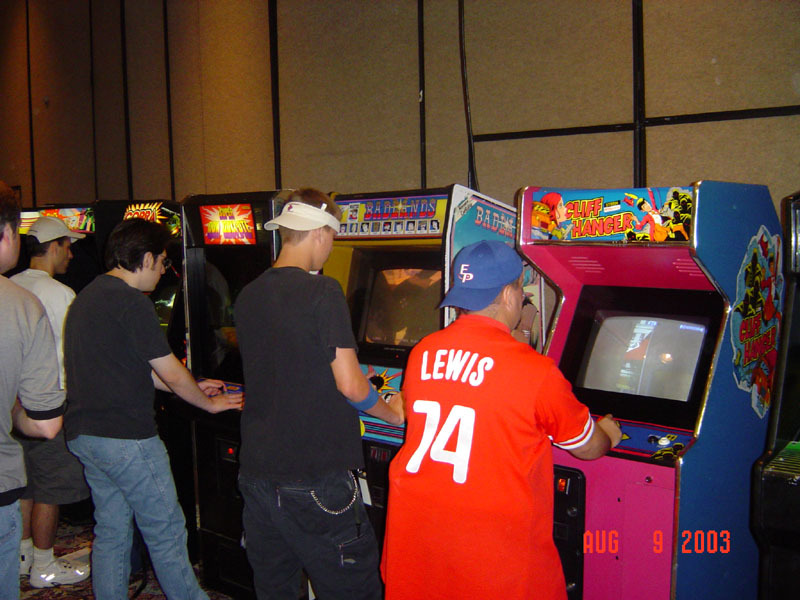 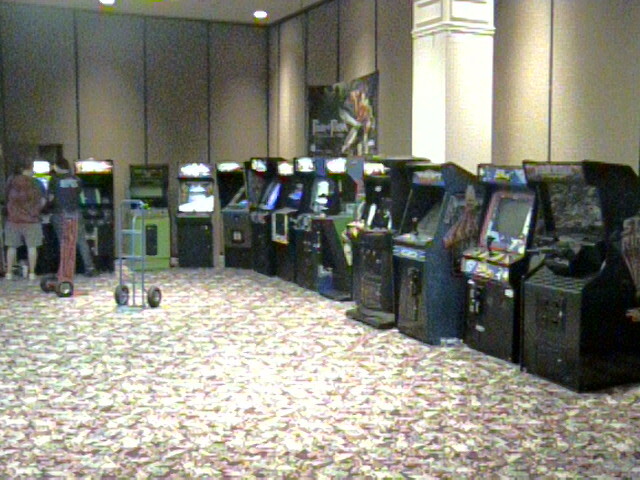 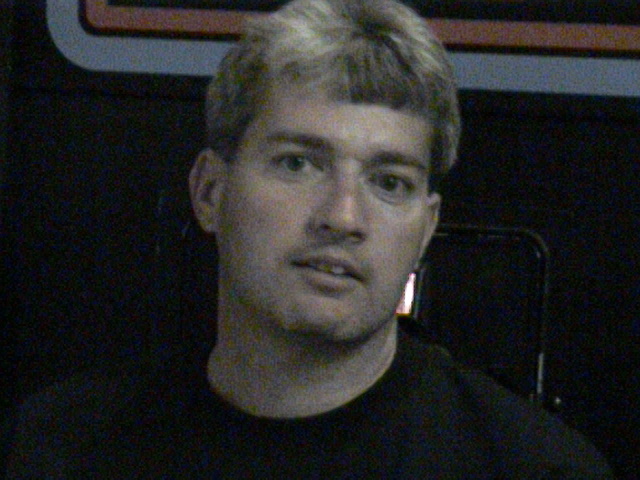 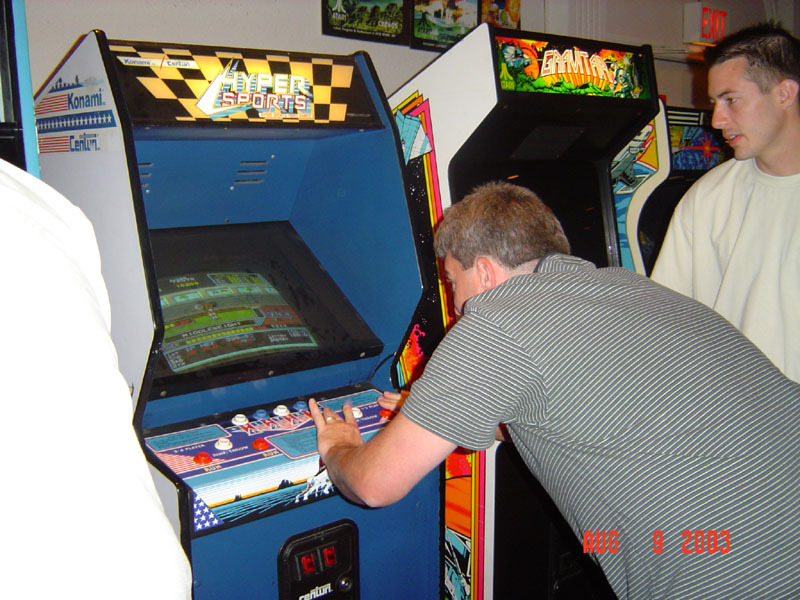 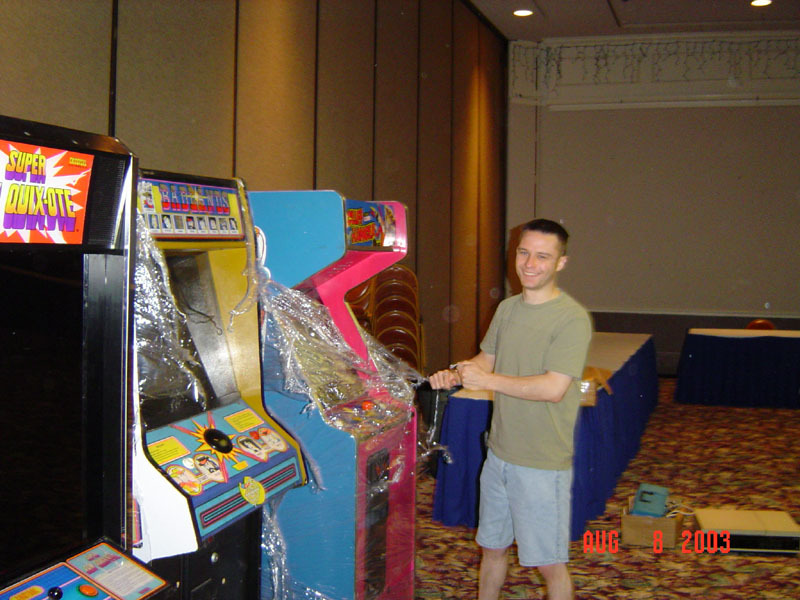 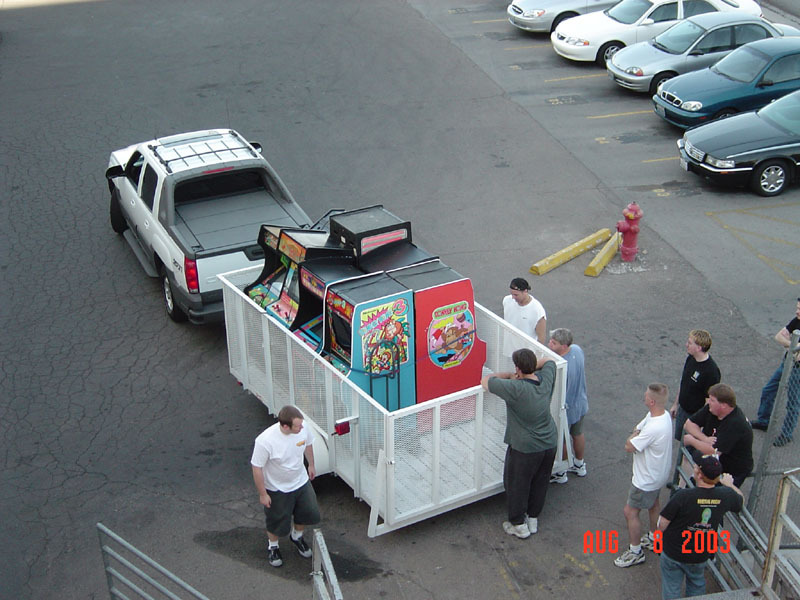 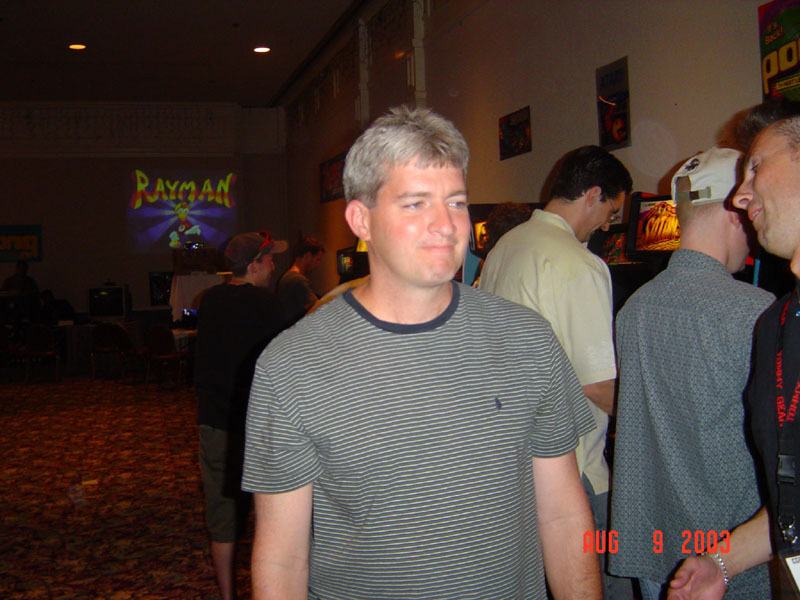 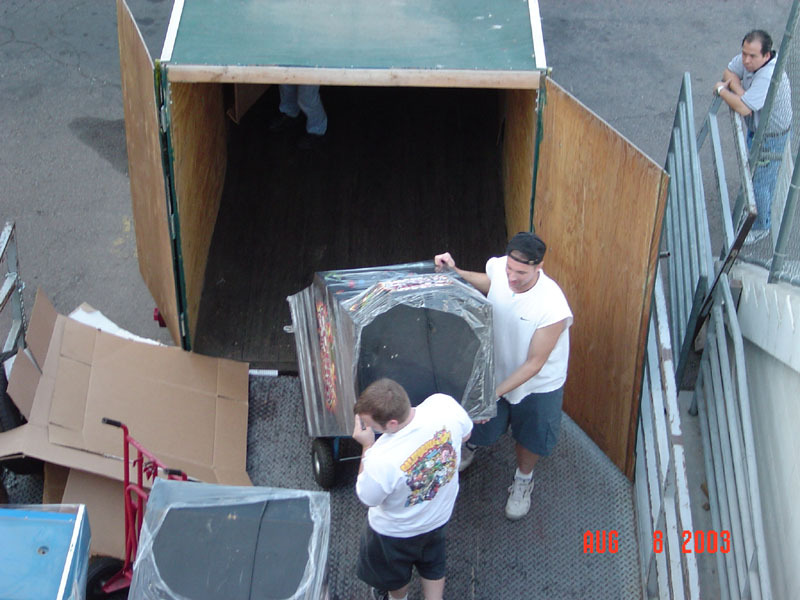 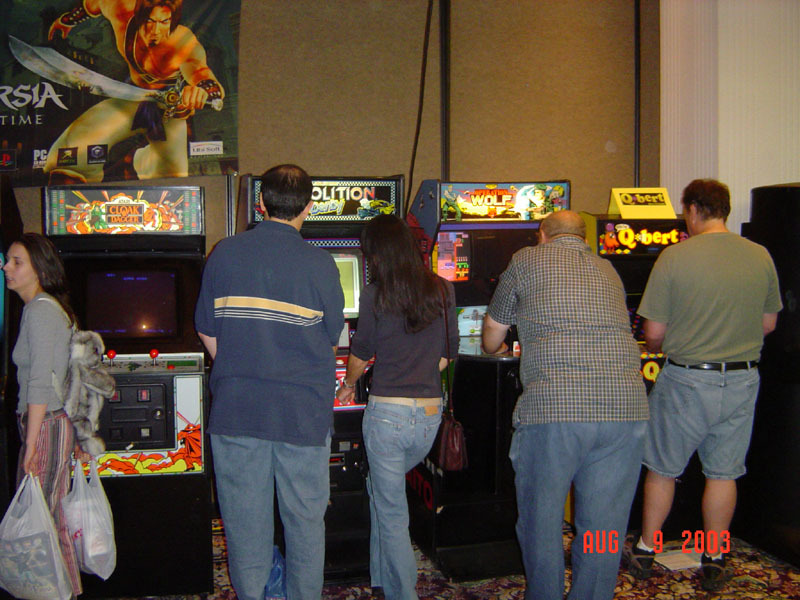 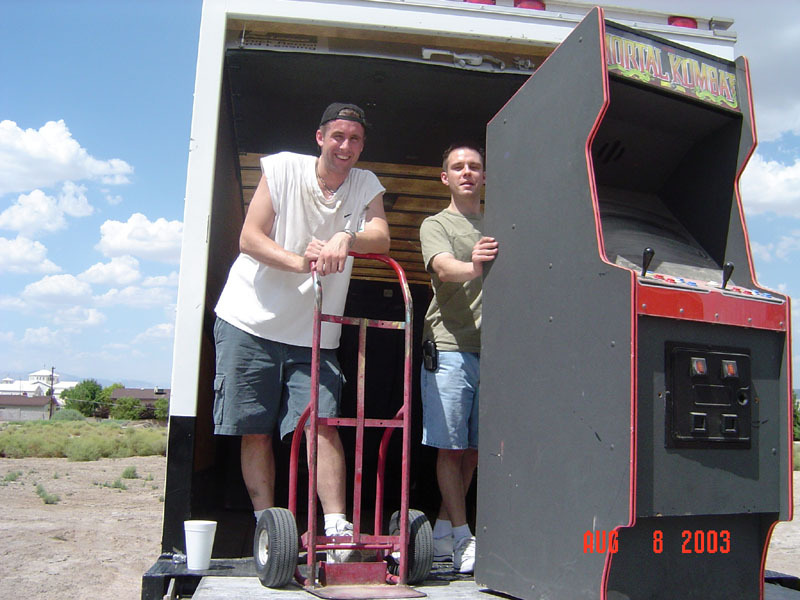 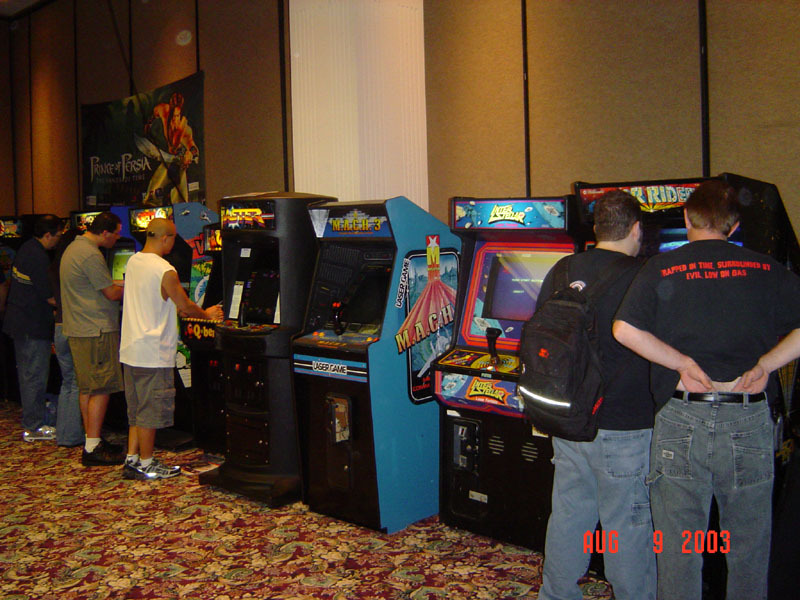 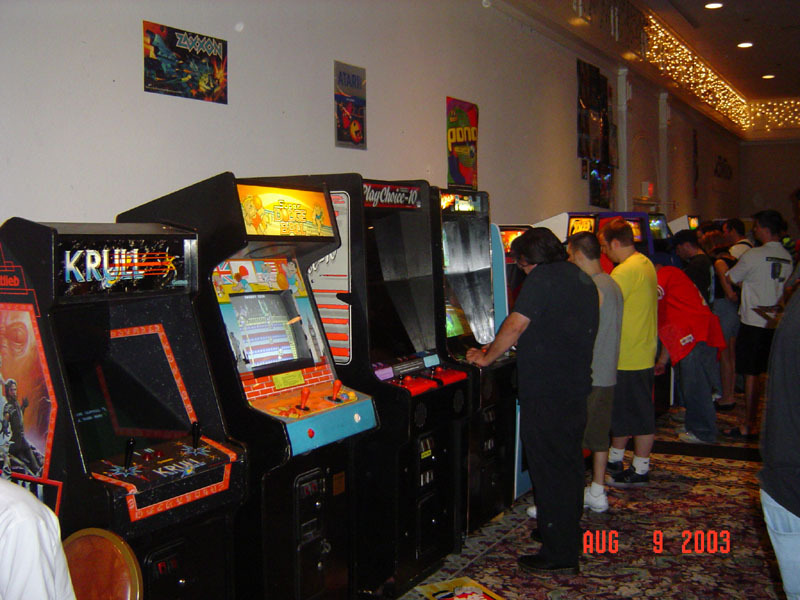 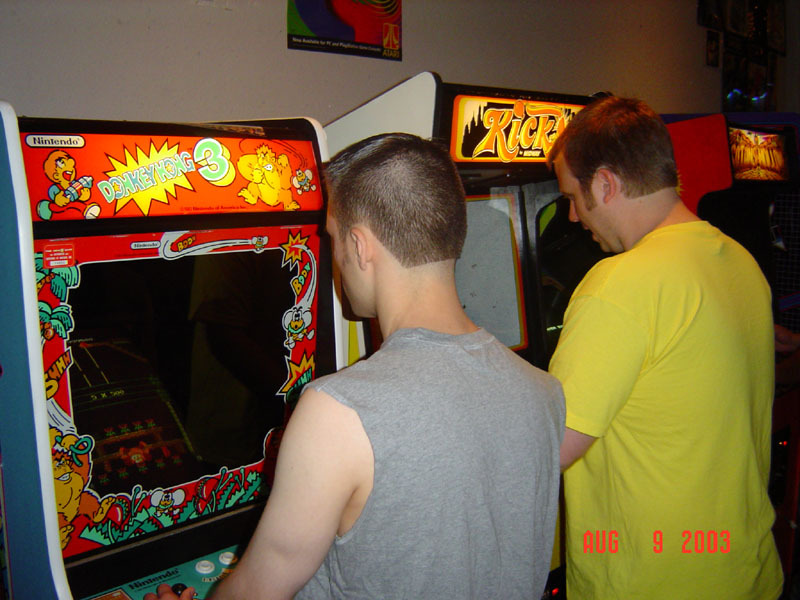 About 60 arcade games set on free play were there for people to enjoy, as well as many laserdisc games from Steven Hertz's personal collection. 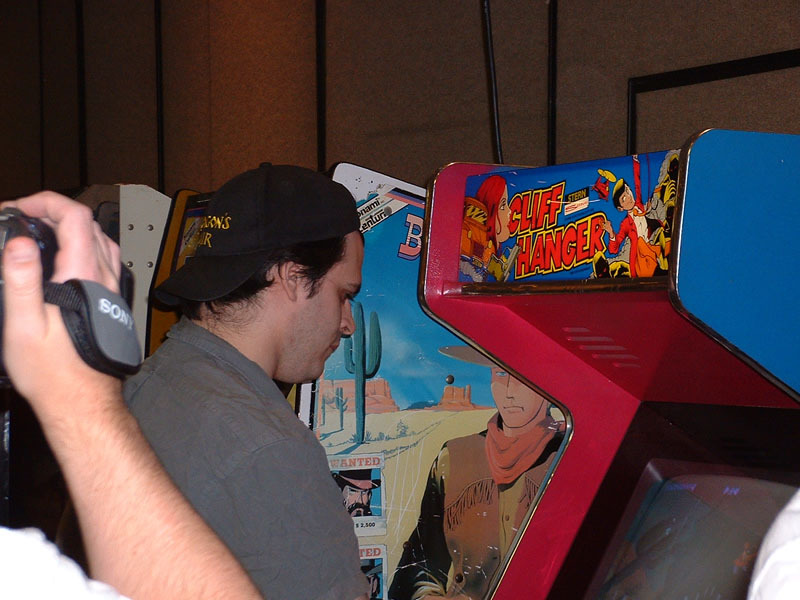 Lots of the D-L-P Community and Staff was on hand to enjoy this year's show as well. 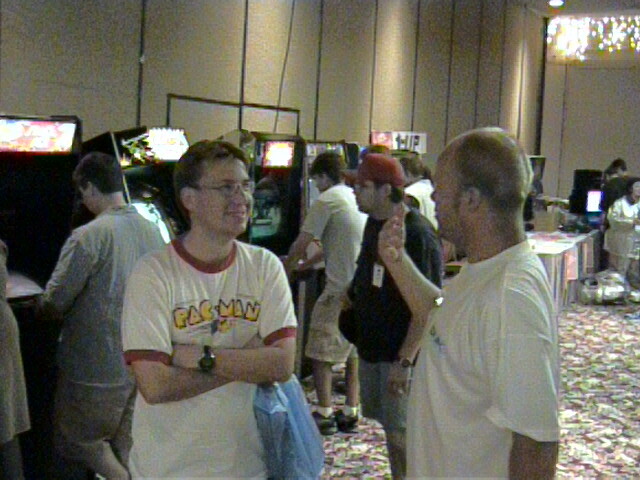 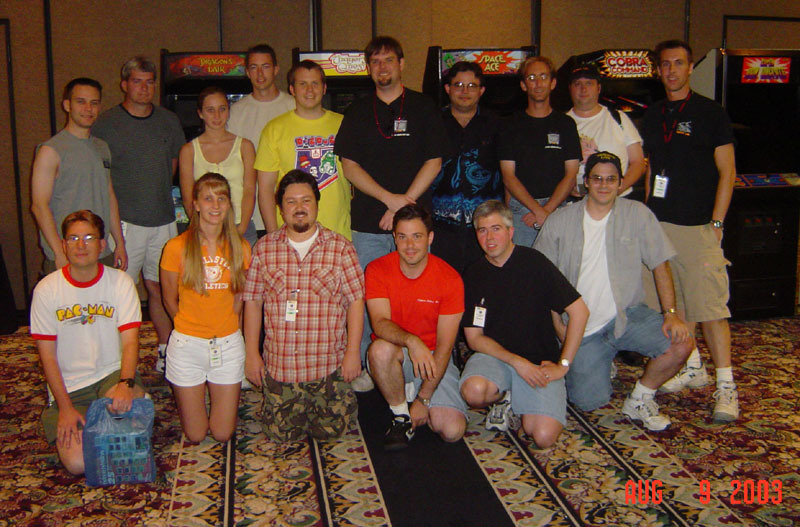 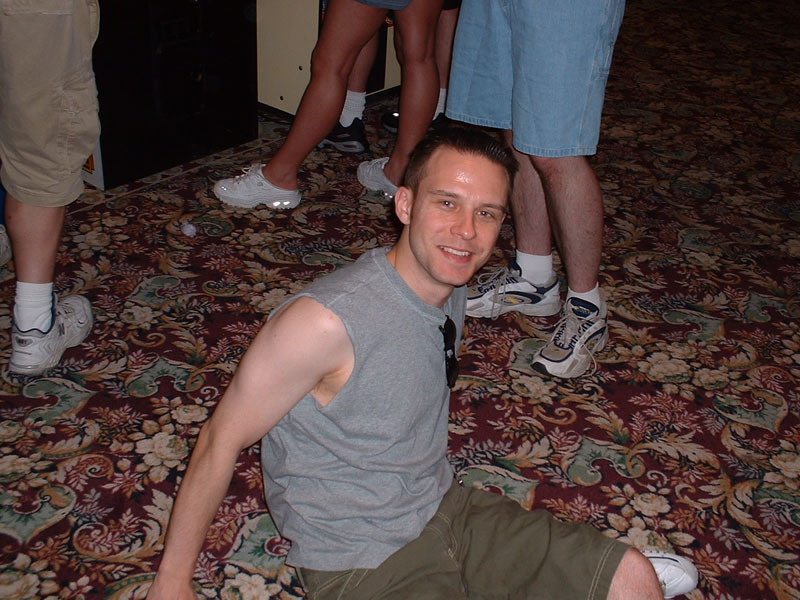 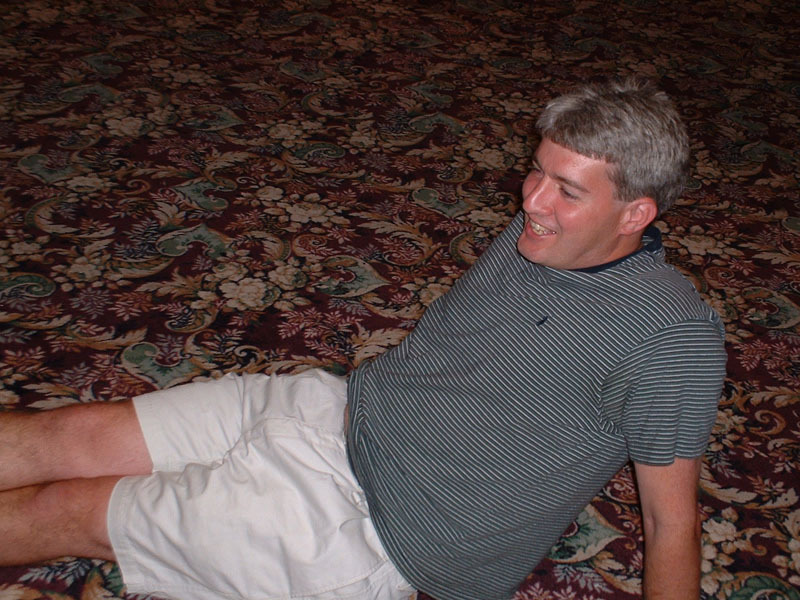 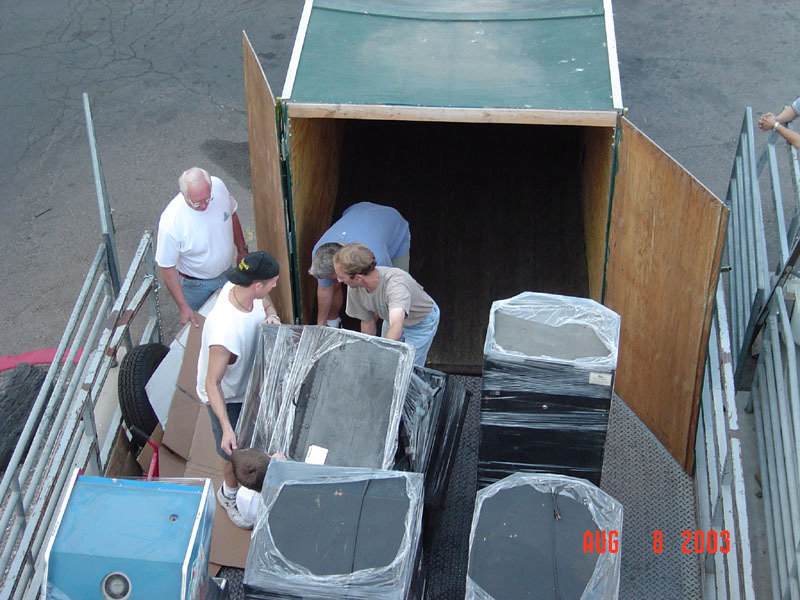 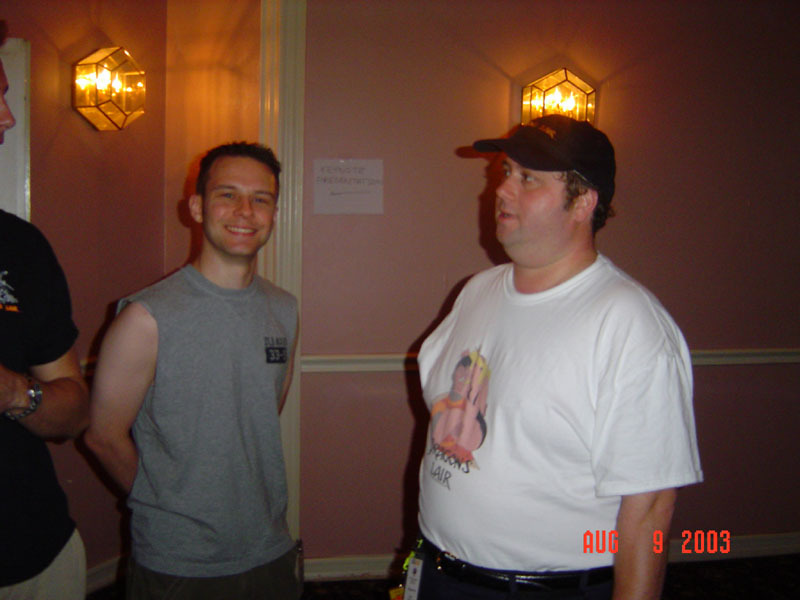 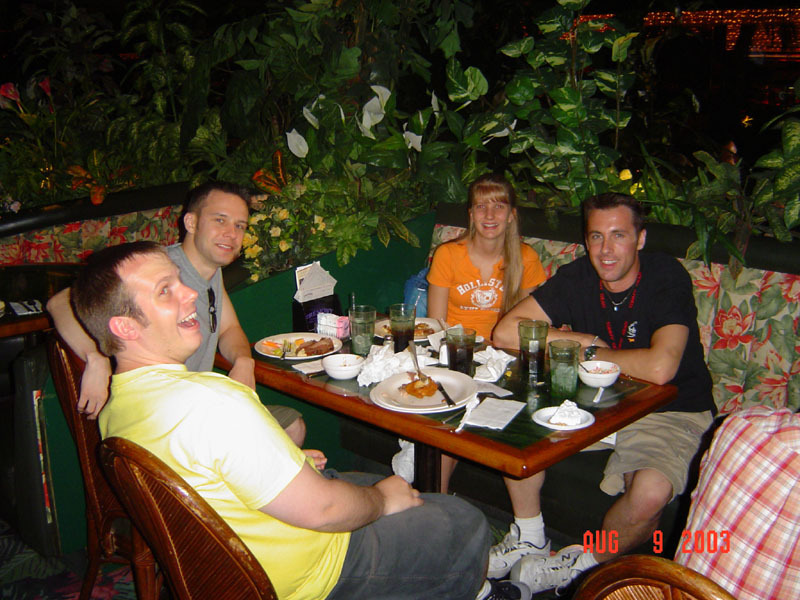 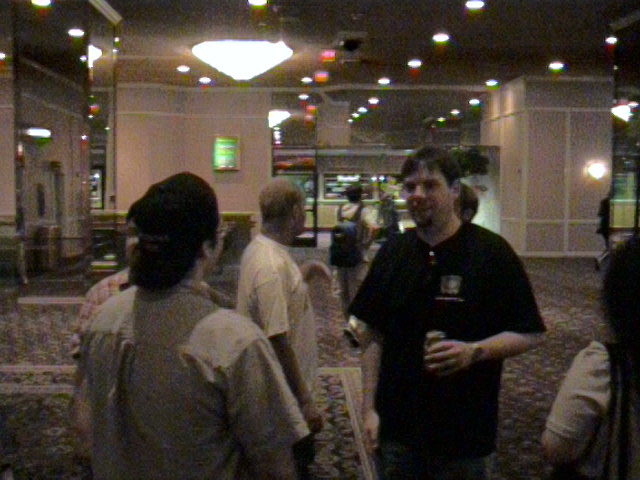 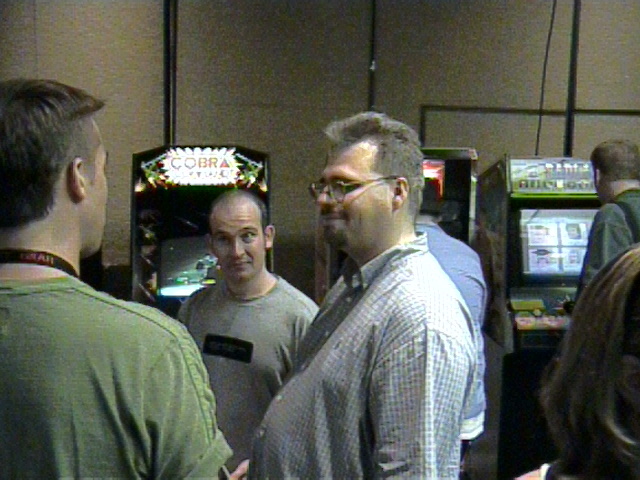 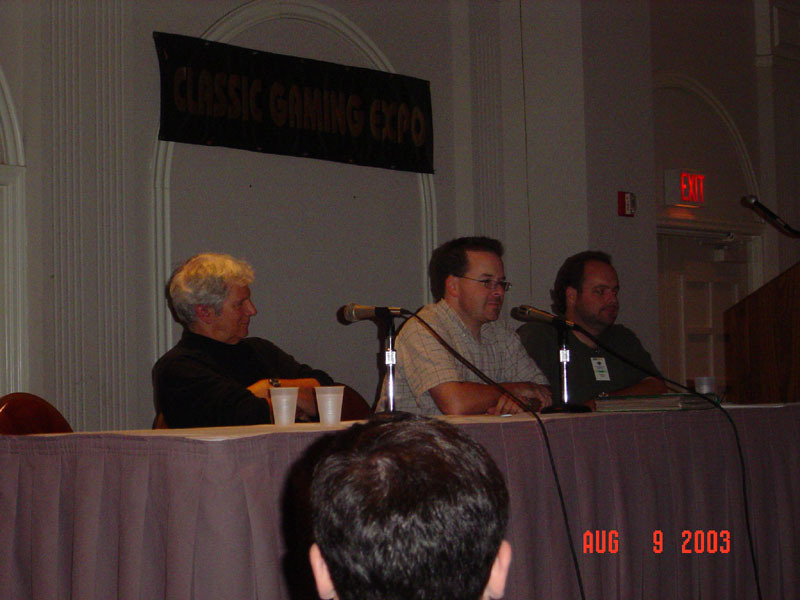 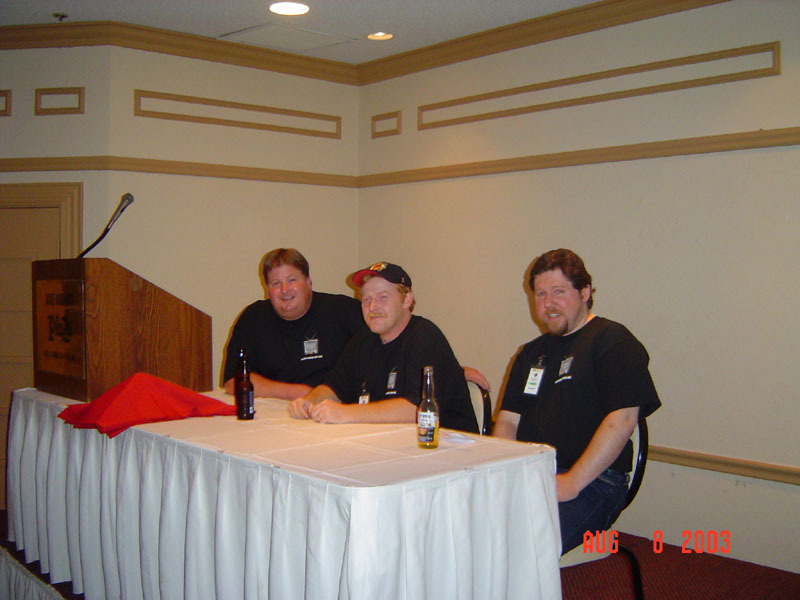 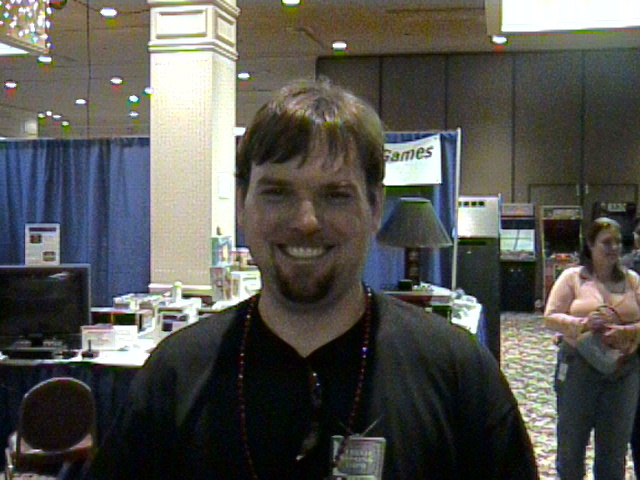 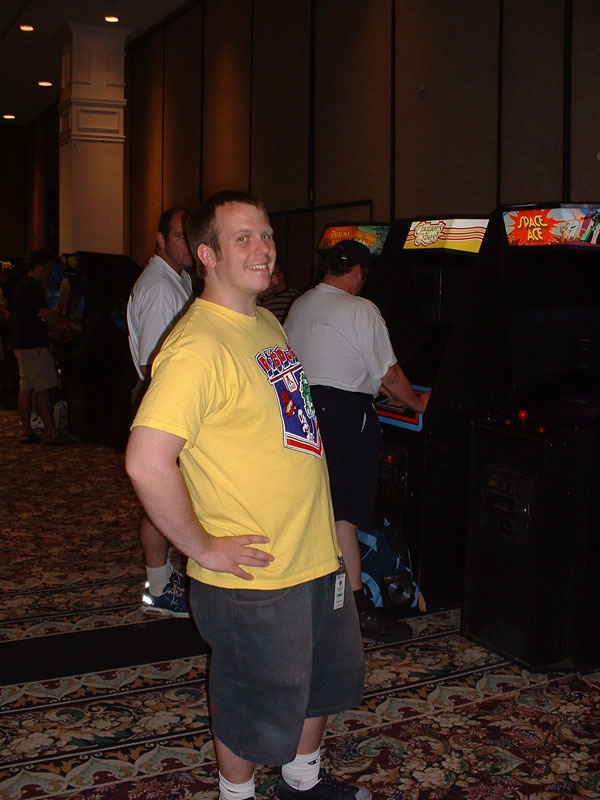 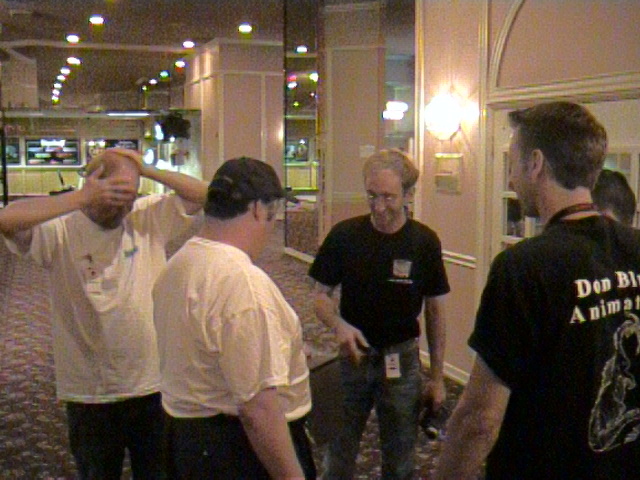 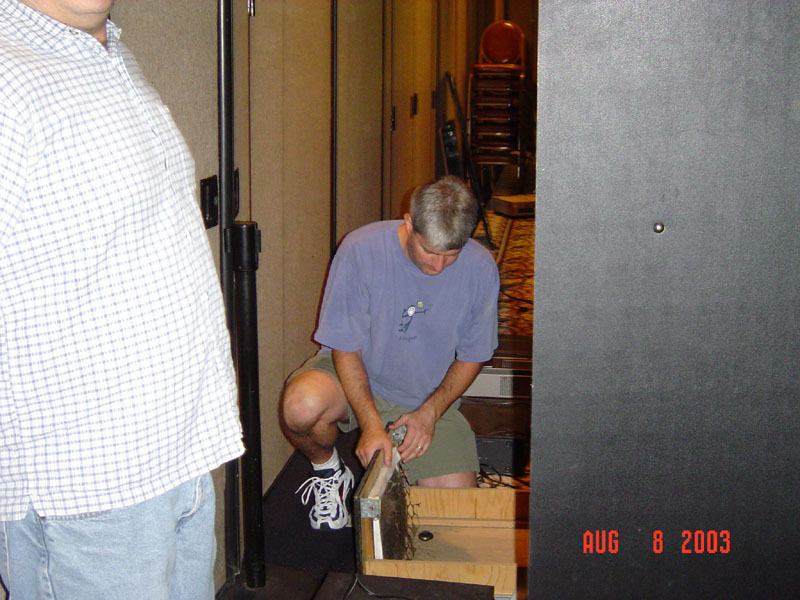 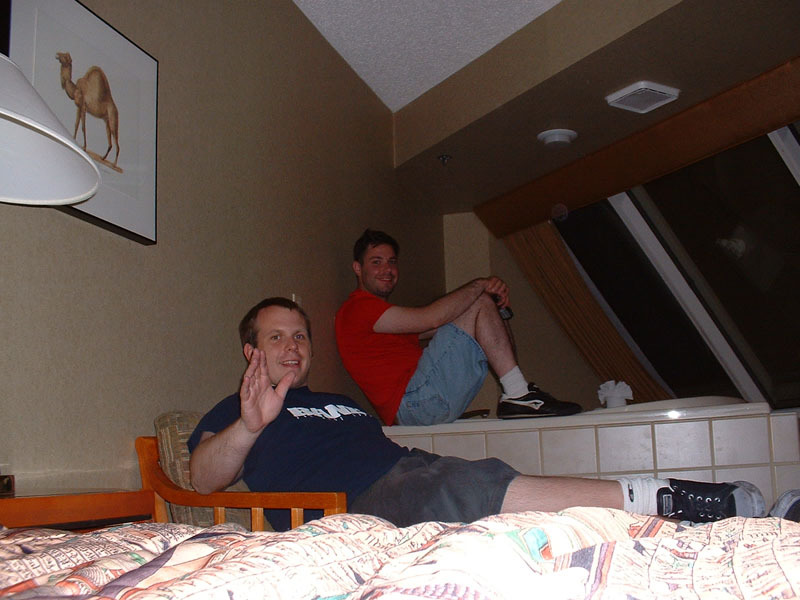 Below are a few of the pictures from CGE 2003.
show closed for the day. 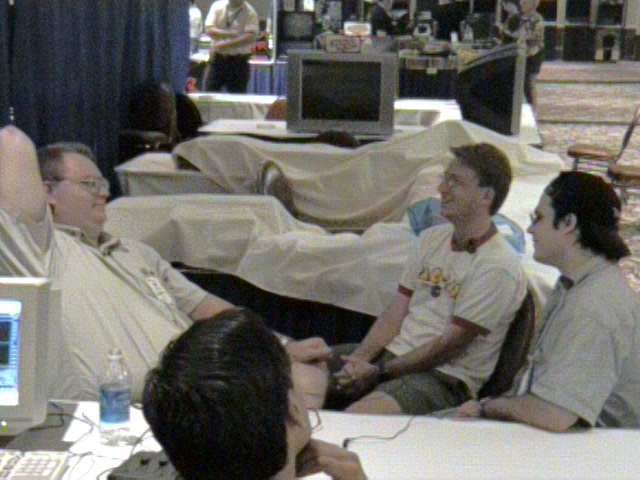 Morgan Beckman Jeff Kinder chatting with Bob Lloyd Jay Gallagher Just a few of the games at this years show.